An ecologist has been studying a rock pool for a week. She has noted which plants and animals she has seen and what they are eating. Below are her notes. 1. 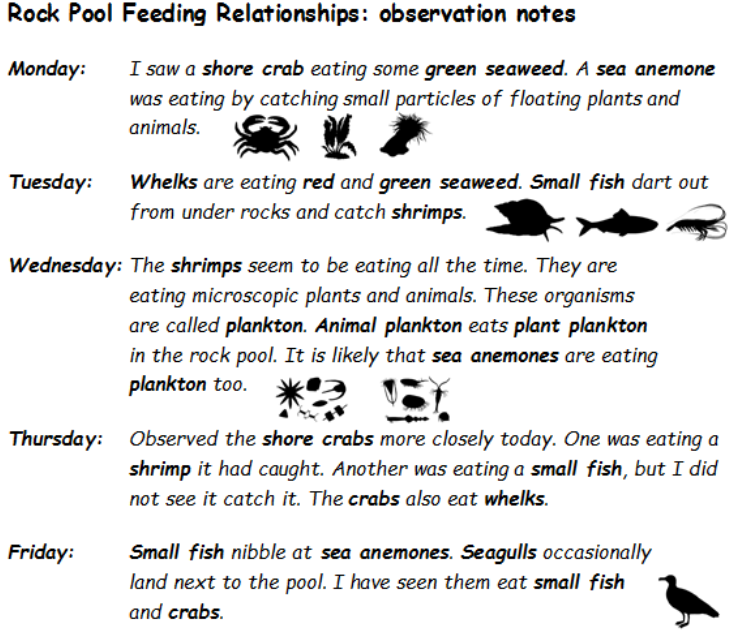 Write down some daily and seasonal changes that might happen in the rock pool habitat. 2. Choose a predator and prey and write down some adaptations that help them to survive. 3. Draw some food chains or a food web using some or all of this information. 4. On the food web/chain you drew Decide which type of feeder each organism is (primary consumer, etc) and identify the producers.